Here are some of the things you need to think about when buying auto insurance. As a responsible driver, you know how important it is to have the right auto insurance protections. However, with all the different carriers and policy options out there, it can be difficult to secure the perfect auto coverage to meet your needs and budget. 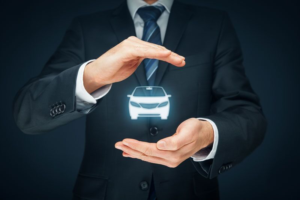 Fortunately, you can make the process of securing car insurance a little easier by understanding how various factors affect your insurance costs. Here are some of the things to consider. While older cars have a higher risk of breaking down, the older your car is, the lower its value is. This means that older cars tend to be a little cheaper to insure. Because newer cars require more expensive replacement parts and are simply worth more, they tend to have higher insurance costs. How often you use your car will also affect your insurance costs. If you use your car frequently, like to commute to and from work, your risk of an accident is higher than someone who only uses their car once or twice a week. This increased risk translates into higher insurance costs. Additionally, if you use your car to travel long distances, your risk for an accident increases even more. Naturally, this leads to even higher insurance costs. If your car has a history of accidents, breakdowns, and past insurance claims, it will be considered higher-risk to insure. This is because having a lot of issues in the past makes it more likely that you will experience problems in the future. In anticipation of future claims, insurers will likely charge you higher insurance rates. These are some of the ways in which individual factors affect your auto insurance rates. Do you have additional questions regarding your car coverage? If so, contact the experts at VGW Walker Insurance in Texas. Our team of professionals is ready to assist you with all your coverage needs today.